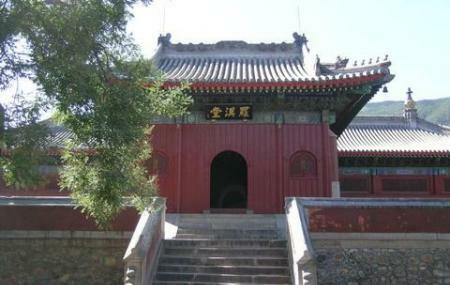 Beijing Dongyue Temple is basically a Daoist temple located in the Chaowai area, Chaoyang District. The temple is dedicated to the God of Mount Tai and attracts tourists from across the globe. Beijing Dongyue Temple literally translates to the "Beijing Eastern Peak Temple". It is also a Beijing Folk Customs Museum. Founded in 1319 the temple has gained popularity over the years for its looks and ambience. Take a bus from God Lu Jie. How popular is Dongyue Temple? People normally club together Temple Of Heaven and Molly Malone's while planning their visit to Dongyue Temple. The temple depicts many departments of hell... and 'surreal' is not a strong enough word. For example, there is a "department for 15 ways to implement death" and you just have to see it for yourself. Well worth the trip, and I'll be bringing visitors here again. This Temple is for King Dongyue and his family. It has many statues and stands out against surrounding modern buildings. The ticket is ¥10(the East entrance). If you want to hire a tourist guide, you can buy tickets at the West entrance, ¥40. The WC is at the rear of the Temple. This is one of the most interesting temples in Beijing, interesting depictions of Daoist hell and awesome steles.